In his first 2017 message, Gordon ‘Butch’ Stewart offered a few positive sentiments about US President-Elect Donald Trump. You can read that here. I agree with Mr. Stewart about the outcome we should look for, but the reason he puts forward doesn’t resonate with me. How could it? For sure, most of us have never met Donald Trump in person and only know Trump as a rich celeb in real estate and entertainment who is all about big properties, bling, and seemingly unfiltered arrogance. Worst could be said, but there’s no point in rehashing the election campaign. That was last year. Now it’s 2017. If I don’t have any personal reason to have high expectations of Trump, why would I agree with Butch? Why should the average Jamaican expect positive results from a Trump Presidency? Answer: Jamaica is not America. Although what happens in the USA will affect us and is largely beyond our control, we still get to choose how we react and capitalize on such global political changes. Dissing a US President-Elect who has not declared Jamaicans to be his enemy makes no sense. 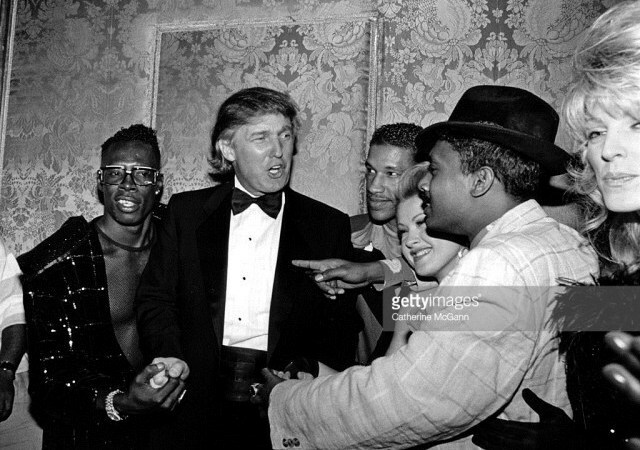 As a matter of fact, to make light of the situation we could say that Trump’s background in entertainment encourages him to view Jamaicans as his ‘friends’. Fun and jokes aside, let us analyze two extremely different possible outcomes. Options A and B. Option A: Trump proves to be a disaster. He builds a wall and creates such a miserable America that Jamaicans abroad start returning early. They’ll be among the many people bringing more cash and knowledge home…at a time when we actually need it. This is already a part of our economic growth plan. Our crime problem is the biggest barrier to this outcome…and that’s not Donald Trump’s fault. A weak US presidency in the face of a stable or growing Jamaican economy may actually work well for us, especially if we continue to boost our activities to attract more capital from the diaspora and other private US sources. We need only to continue to focus on our own national growth and resilience… and clean up the crime problem. Admittedly, there are many downsides to a prolonged economic downturn in the USA, but our attitude is still what matters most given the current positive outlook for Jamaica’s economy. In other words, if Trump flops, Jamaicans should definitely play the hand we have been dealt and make living in Jamaica a much better alternative. Option B: Trump is a success. If option B is the deal, Trump’s success is just another hand of cards for us to play. Strategically, Sandals and any other Jamaican luxury hotel or brand is likely to get more US customers from a booming US economy. Just about anything we are selling and marketing properly will have a US customer with more cash to spend. More and more Jamaicans are renting out properties on Airbnb, from Trench Town to Sav La Mar. Consequently, we should not pretend that only the rich can capitalize. On a national level, there is money to be made, even for the chef who sells ackee and saltfish or jerk chicken to our visitors. Same for coffee, rum, or our (medical or decriminalized) marijuana and entertainment products. Both A & B extremes require that we live in optimism backed by pragmatic action. That action must include tackling our crime problem. Are you still asking why Butch would speak in support of Trump? If so, just think about it from one other angle. Quite frankly, if Trump was someone you’d met personally several times and in all those times you had no reason to dislike him then you might very well hold Butch Stewart’s opinion too. For sure, you’d have absolutely nothing to gain by allowing others to presume the worst for Jamaica. In fact, in terms of leadership style, staying silent in such an atmosphere of certainty would be unlike Butch. 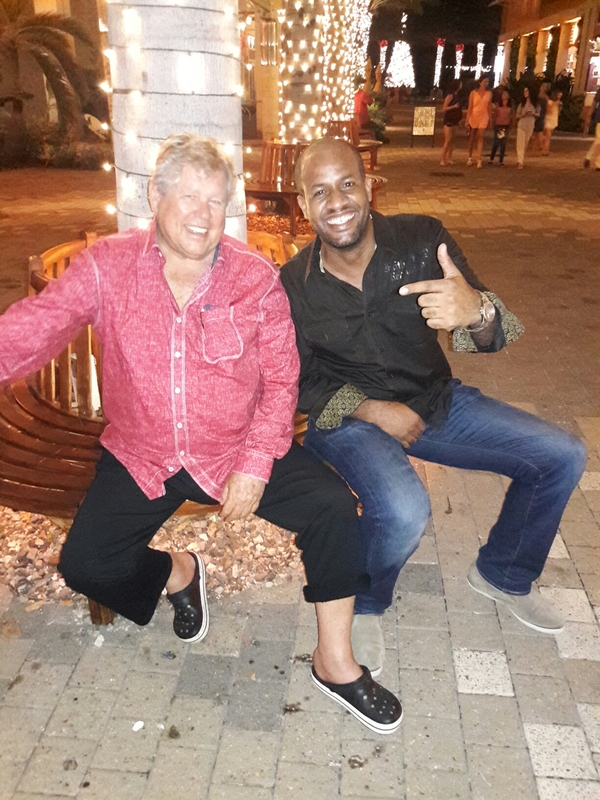 Gordon ‘Butch’ Stewart grabbing a photo op with ‘celebrity and billionaire’ TZ (sic) in the last week of 2016. With a great foundation set by our country’s previous administration and with the current 5 in 4 ‘prosperity plan’ already in motion, Jamaica is ready to move towards the most positive outcome for ourselves in either option A or B. The words ‘doom and gloom’ do not fit us for 2017. Everything short of Trump starting World War 3 should be seen as something we can pivot on. And even in that worst case event, we may just have to find a positive role to play. When we sum it all up, Mr. Gordon ‘Butch’ Stewart speaks from a position of a billionaire who has had good dealings with a billionaire, and most of us cannot share that perspective. Never-the-less, it is we as Jamaicans who must choose whether or not a Trump presidency is good for us. We hold the handle this year. Certainly as far as our approach to 2017. About the Author: TZ is a Caribbean entrepreneur, private pilot, corporate graphic designer and architectural studies graduate. He is a Branson Centre Legacy Entrepreneur and the founder of the Back to Basics Motorcycle Safety Mission.